Blowflies are one of the most widespread ectoparasites affecting sheep in the UK, with surveys suggesting 80% of flocks will have one or more cases of blowfly strike every year. The severity of strike can be hugely variable year by year and can be weather-related. Not treating promptly can lead to reduced performance, secondary infections and death. Leaving animals untreated when knowingly affected with strike is also a welfare issue. 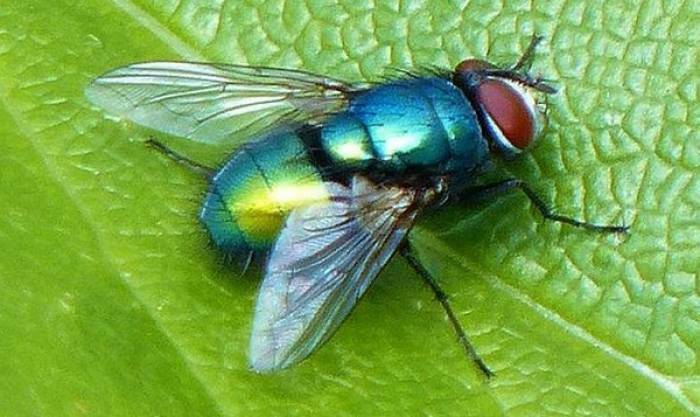 In the UK, blowfly strike is usually caused by the greenbottle fly. The females are attracted by the odour of decomposing matter such as wounds, soiled fleece or dead animals. Each female lays up to 250 eggs that hatch after about 12 hours. 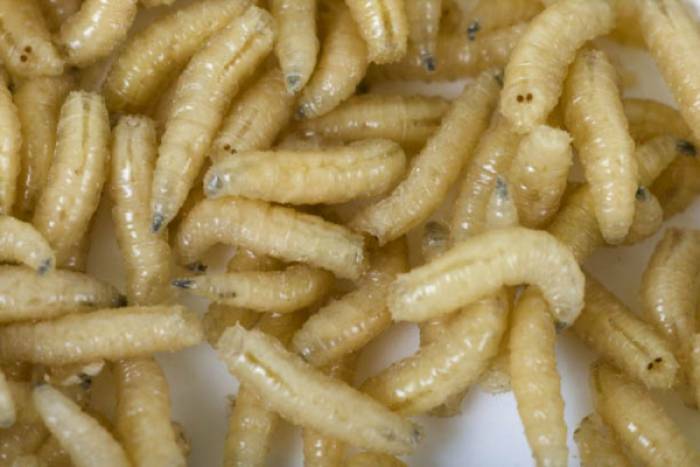 After three days the mature larvae drop off the sheep and pupate in the soil. Blowfly strikes usually occur in waves. The first fly lays her eggs and the odour from this strike attracts other flies. 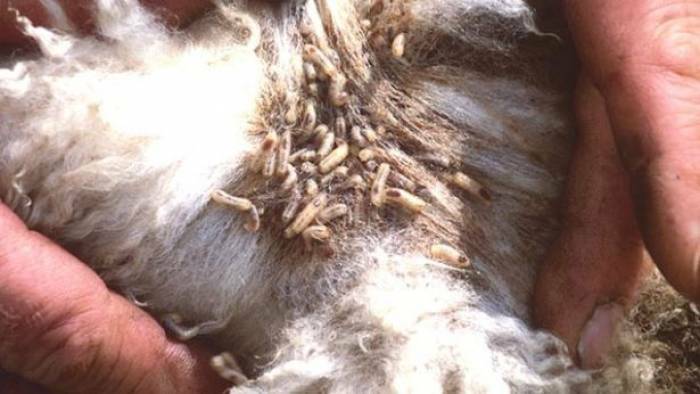 When the populations of larvae become overcrowded they will attack the living tissue of the sheep. The first signs in affected sheep are a patch of discoloured wool and agitation. Rapid diagnosis and treatment are essential. Blowfly strike was traditionally expected between May and September, but changing weather patterns mean lowland flocks are at risk from March through to December. With increasing flock sizes and the need to rationalise labour-use to improve profitability, flocks must have a plan that will provide protection during the risk period and fit with the need to control other parasites. Blowfly strike can be prevented through the application of an appropriate product before a period of challenge. Be aware that IGRs (insect growth regulators) do not stop the fly laying her eggs, but do stop the larvae fully developing and so prevent strike. When using products, always read the manufacturers’ instructions on dose rate, storage and withdrawal periods. Check application equipment is working properly and is calibrated. Replenish dips according to instructions and follow safety guidelines. Check the data sheet and product packaging before applying the product and check the application rates and/or withdrawal durations have not changed. Download a product guide to treatment and control options for blowfly strike. The greenbottle fly is the most common cause of blowfly strike in the UK. Blowfly strike in sheep is a welfare issue and affects performance. Fly eggs hatch after about 12 hours.